I can sit in my Anchorage home, within easy walking distance of the major downtown hotels, stores and restaurants, and see salmon in the water and eagles in the air, not to mention the assorted beavers, muskrats, moose and other animals that are commonly encountered around the perimeter of Westchester Lagoon. 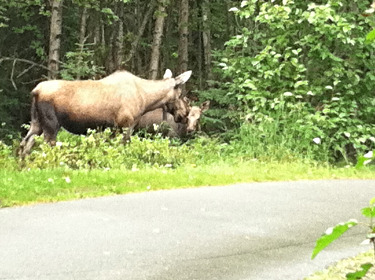 Even in the heart of Alaska’s largest city, wildlife is part of everyday experience. In Anchorage’s southeastern back yard, the Chugach Mountains provide an important combination of recreational opportunities and wilderness values. 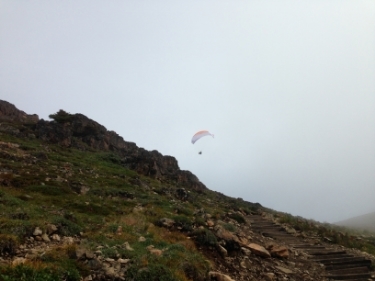 Chugach State Park is the third largest in the country and provides extensive hiking possibilities, on or off trails, from access points that are a short drive from downtown Anchorage. The Chugach National Forest, originally designated by President Theodore Roosevelt in 1907, is not officially a wilderness area but includes large areas of wild and mountainous terrain that envelop Prince William Sound. Check out the Anchorage Museum at Rasmuson Center, especially the Smithsonian exhibition on native cultures and the great galleries of Alaskan visual arts. You can access the Tony Knowles Coastal Trail at the end of 5th Avenue, near the downtown hotels. From there, you can take an easy stroll out to Westchester Lagoon or keep going to Earthquake Park or beyond.